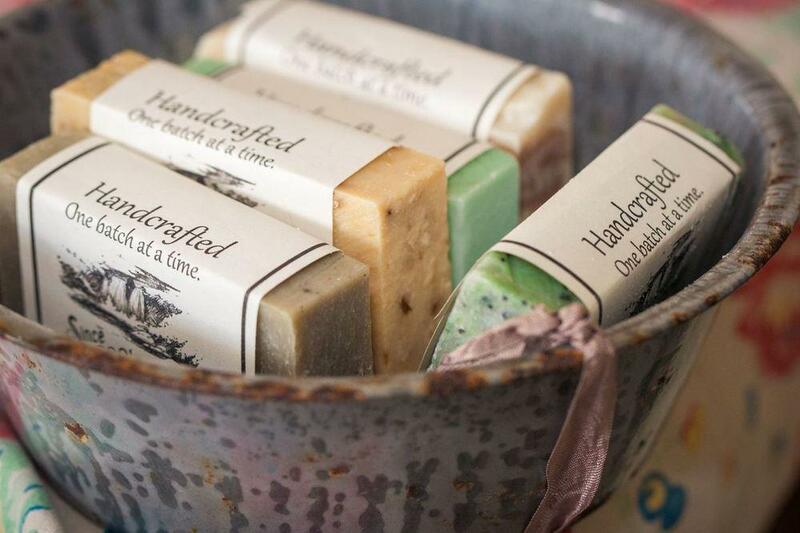 Welcome to Flint Creek Soap Company! Our soaps are made with simple ingredients which do not pollute. They lather like crazy, are smooth and silky, and they don't strip your skin of precious oils. Olive oil is the first ingredient in our soap because it makes for a longer lasting bar of soap and it is great for soft, nourished skin. We never use soy or palm oils and you will not find sodium laurel sulfate in anything that we produce. Try a bar today to see why Flint Creek is becoming one of the fastest growing soap producers in the U.S. While you are here, have a look around - we produce amazing lotions, creams, salves, and many other bath and beauty products. We have reduced our shipping rates to $5 so that you can try one bar without a huge financial commitment. Act now and we will send a bonus gift. We do not recommend this option if you intend to purchase more than one bar. *** Note: When you make your choice it will be in your cart but this page will refresh and tell you that you can only purchase one item on this page. Go ahead and click the cart when you have made a choice and you will be taken to check out. Thanks for stopping!